The Doctor’s influence is everywhere. Have you discovered this? I’m running into fans all over the place! Last week my dishwasher sprung a leak. I know, really fun stuff. The guys that came in to dry out the flooding were pretty cool. One of them commented that I had the best coffee mug ever. I didn’t even have to peek around the corner to know which mug had caught his eye. It was the disappearing TARDIS mug I got for my birthday. Like I said, Doctor Who fans are everywhere. For 20 minutes we discussed the show, Peter Capaldi, and the 50th anniversary episode that he hadn’t seen. (Don’t worry, no spoilers.) The only spoiler-y bit I disclosed was that an older Doctor in Peter Capaldi makes perfect sense after seeing The Day of the Doctor. I know it was a little cruel to whet his appetite with that tidbit, but…how could I resist? We finally had to explain what we were talking about to the other gentleman working with him. In the airport’s Starbucks, my barista had a “Police Call Box” lanyard around her neck. Again, speculation about the Christmas episode swirled through the air along with the sounds from the espresso machine. Our conversation did more to wake me up for the flight and meetings ahead than the caffeine in my chai latte. During my Random Acts of Kindness last month, I gave “awesome” cards to everyone I came across in Doctor Who apparel. There were more than a couple out and about. It is like belonging to a not -so-secret club or something. 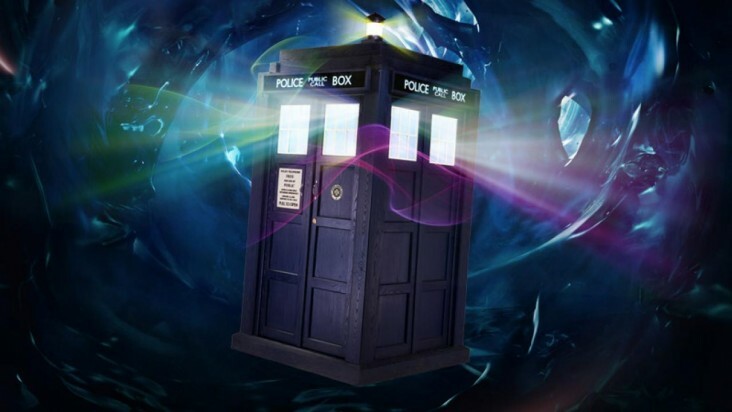 Every time you hear the whooshing groan of the TARDIS, you look around, just in case a blue police box really does show up somewhere, and if anyone else’s head pops up at the unique sound, you can’t help but share a smile. 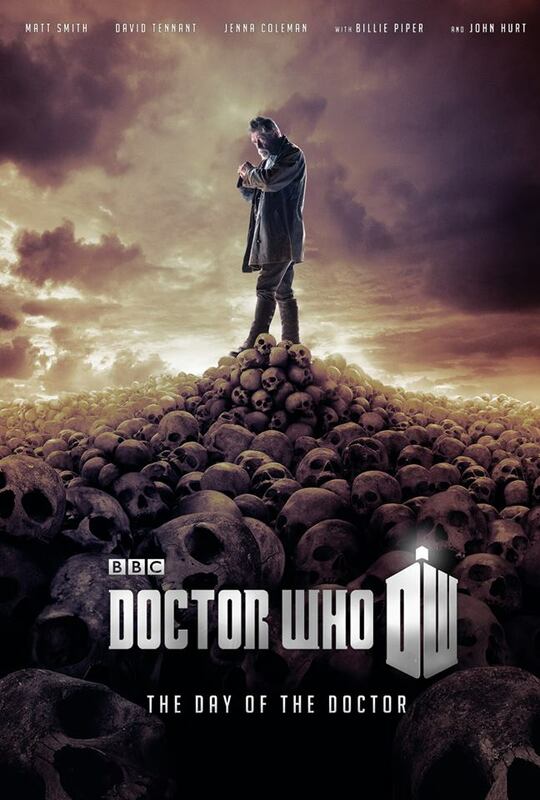 There is a new Doctor Who Christmas special trailer for The Time of the Doctor. Matt Smith is facing all of those villains? 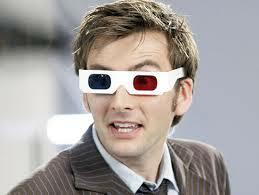 It took me a while to warm up to the 11th Doctor, but now I am not ready to see him go. 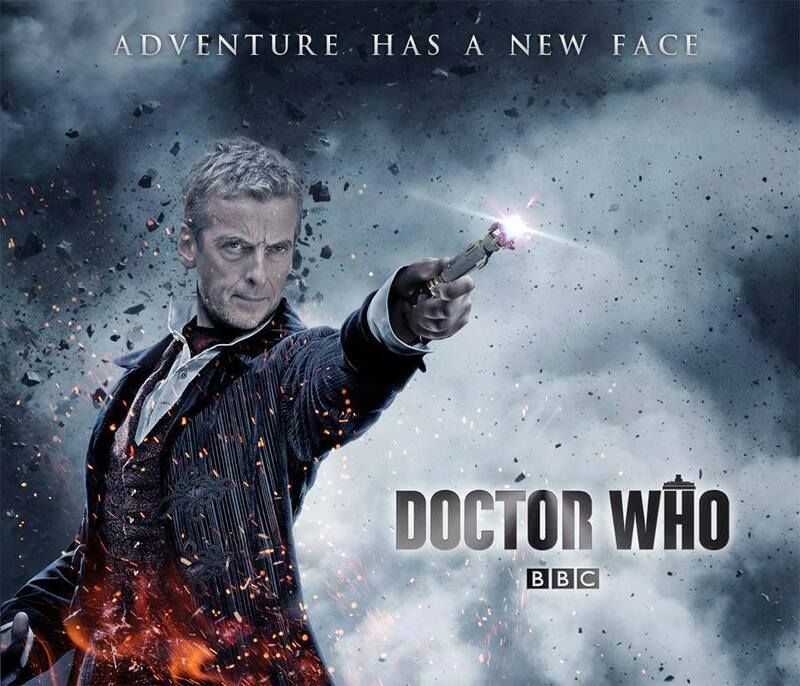 Don’t get me wrong, I think Peter Capaldi will be amazing, but Eleven stormed his way into fans’ hearts. Of course, Steven Moffat is an expert at tugging on those same heartstrings, so I expect a thrilling, emotional roller coaster for Christmas from him. This trailer is all the confirmation necessary for me to stock up on tissues, straighten my metaphorical bow tie, and make sure the shock blanket will be freshly laundered for the occasion. Oh it makes me giddy…and fills me with dread…so, here it is. What do you think about the trailer? Have you run into fellow Whovians in unexpected places? 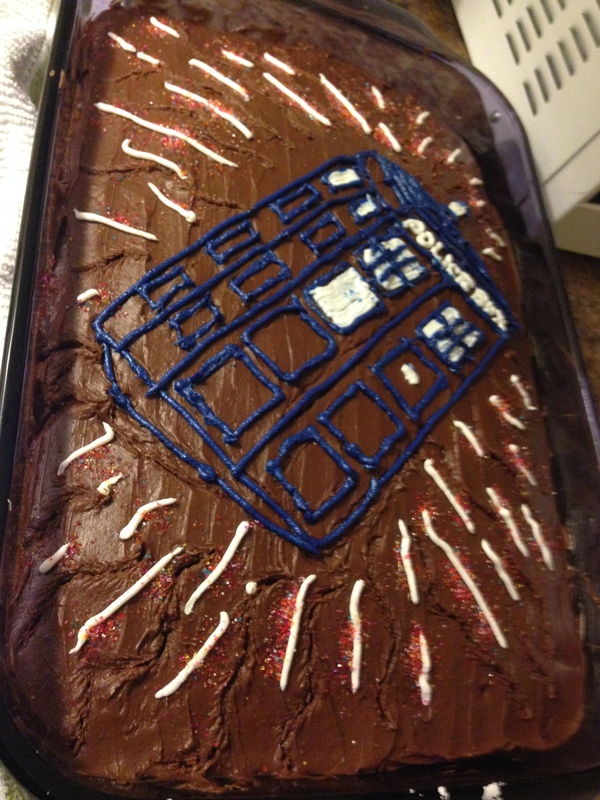 TARDIS, Dalek, Stars, and…Presents: Happy 50th Anniversary and Birthday Party! Hello Sweeties! Well, I’ve done it! I’ve thrown my first Doctor Who party. When I was planning, I worried about it feeling like a 10 year old’s party…with adult beverages. One of these days, I’ll learn not to worry so much. It didn’t feel childish at all…I left off the coloring pages and props…maybe that made a difference? All in all, if there weren’t an abundance of Doctor Who references from everything the food to “props”, it would have just been a lovely…blue and silver party…with stars. For this party, just blue and silver wouldn’t cut it. 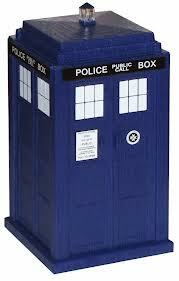 This is the 50th Anniversary of Doctor Who for crying out loud! It was also my birthday party, so there was no halfway. The TARDIS made an appearance…or three, and a Dalek tried to “Exterminate!” the bread. My friends and family definitely Exterminated all the food. (One day I will remember that there are never leftovers, but there is always enough.) I should just stop stressing out about it. If you’re thinking of your own Doctor Who themed party, I’ve included recipes or links for the food, directions or links on how to make the decorations, and…anything else I can think of. For those few people attending who were not Whovians, I made sure that everything had a little sign to indicate how it related to the show. 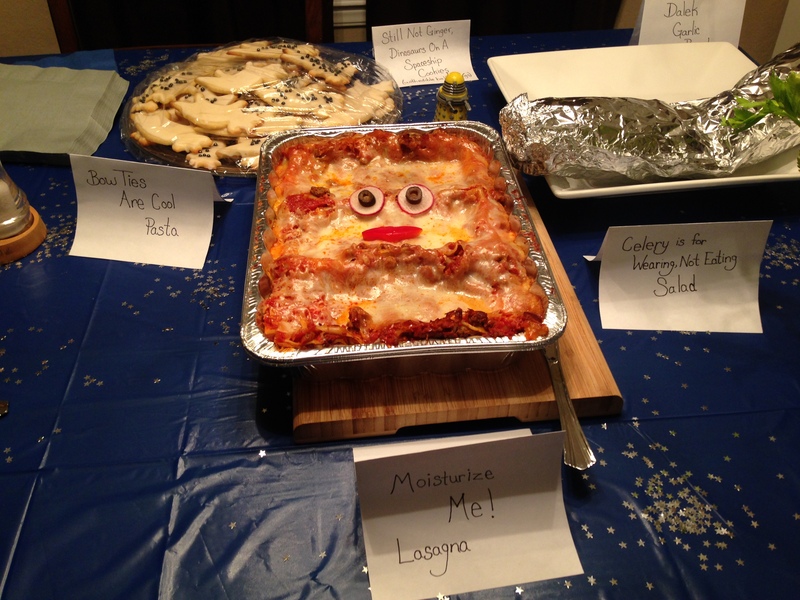 I mean otherwise, it is just a lasagna with a face! I used Pinterest a lot to get ideas several months ago, but, when it came down to it, I didn’t do anything the exact way the directions suggested. If you want to see some other ideas, check out my Theme Parties board. 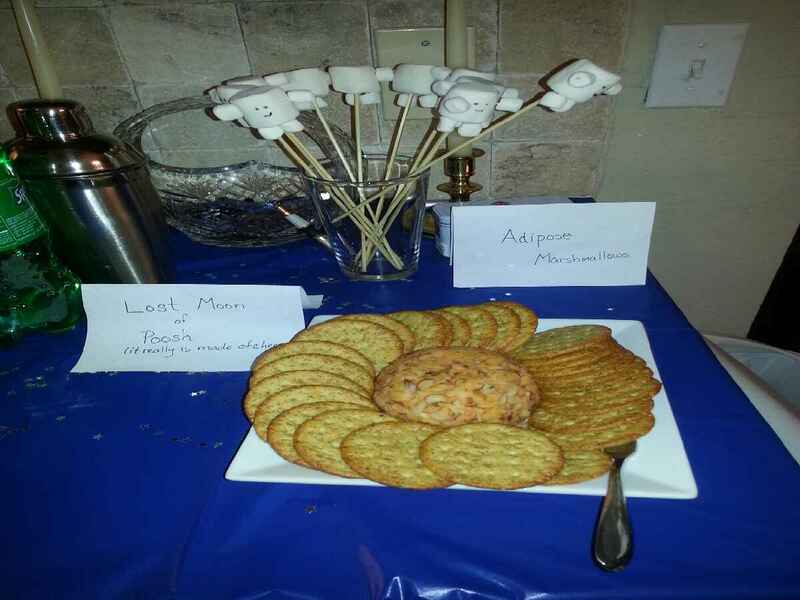 Lost Moon of Poosh (a moon made of cheese!) I just bought a tasty cheese ball and some crackers. 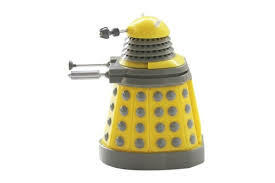 Just garlic bread with a Dalek wind-up toy next to it…to “Exterminate!” the bread. I’m sure I could have made it look like a Dalek, but…time. 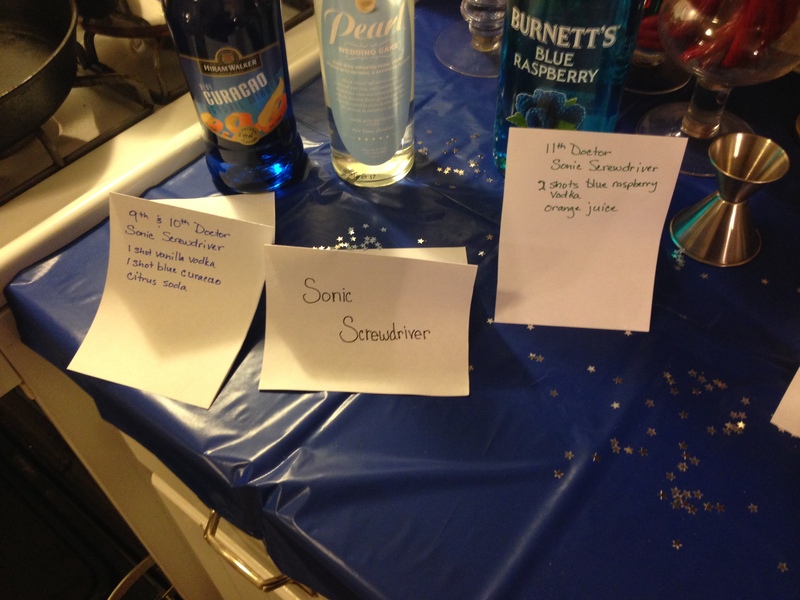 The blue sonic screwdrivers were by and large the most popular of the evening. Very tasty, and the citrus soda made them “sparkle”. (9th & 10th Doctors) were a huge hit. 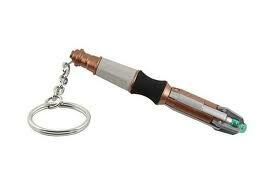 The 11th Doctor’s green sonic screwdriver was very tasty also, but it didn’t have as many takers. I think that a splash of citrus soda would be great here too. You know…sparkly. Otherwise known as how many Doctor Who things can I fit into one dish! I love this sugar cookie and icing recipe! It is pretty much the best one I’ve come across. Perfect for using cookie cutters too, and the icing makes the cookies stackable without getting too hard. (Why did no one take a picture of my lovely cookies? Oh right, they were too busy eating them!) A triceratops cookie cutter and gray sugar pearls made this…perfect. Huge thank you to my friend for the birthday cake. It is wonderful! My favorite is yellow cake with Chocolate Frosting, and that is just what I received! She drew a much better icing TARDIS than I would have been able to. These are super easy. 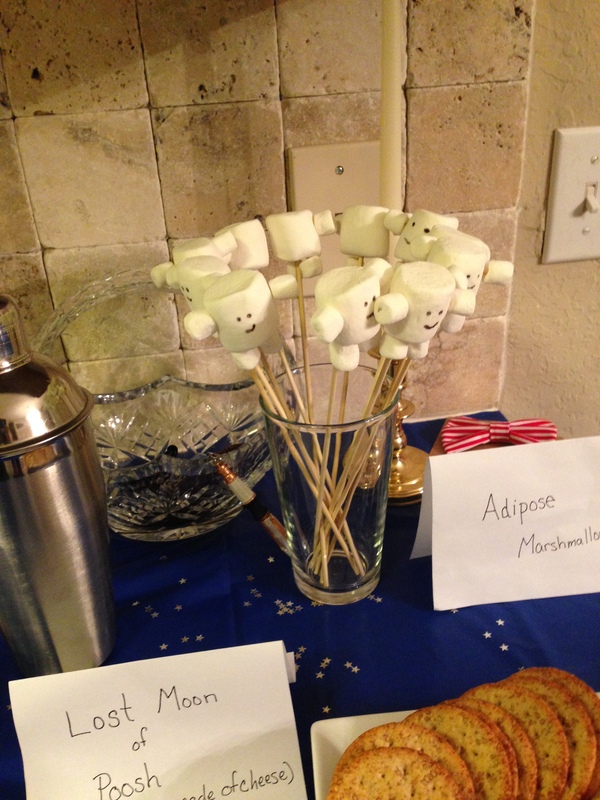 Jumbo marshmallow, and you can attach the regular size ‘mallows either with icing as glue or with toothpicks (1. Cut the toothpicks in half, it works better. 2. Warn people there are toothpicks….I know, but the last thing you want is for someone to swallow half a toothpick.) The faces were drawn on with black gel icing. I used a toothpick to get a fine enough line. 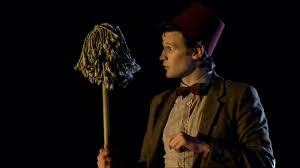 There were bunches of other items pertaining to the life of The Doctor strewn about. I got a TARDIS mug for my birthday that made an appearance along with an astronaut stress toy and a high-heeled shoe. Can you tell I like River Song? Doctor Who…stuff was playing in the background for…everything. The week leading up to the party BBC America had a schedule full of Doctor Who specials, and I made sure they were all DVR’d and queued up for the party. Since there was a marathon on, we just ended up watching that. So, The End of Time Part 2 led us into the broadcast at 7:00pm CST. Yes, we had emotional trauma for fans just before the big event. 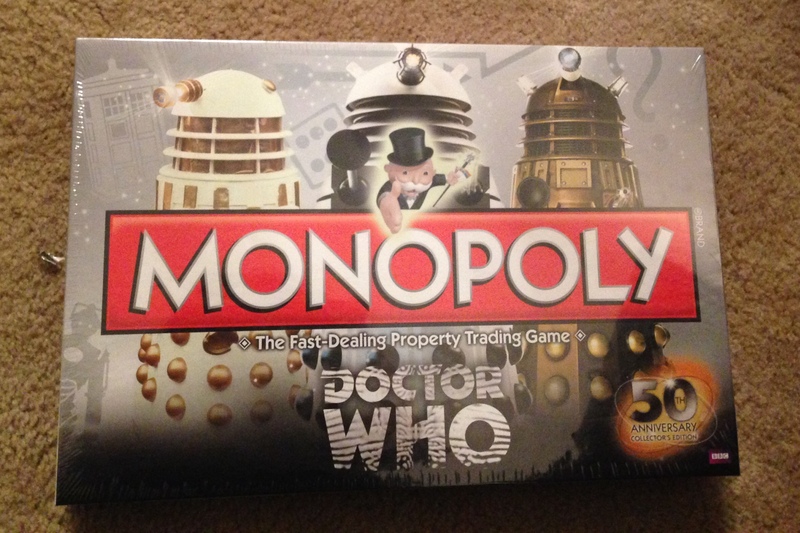 There was the 50th Anniversary Doctor Who edition of Monopoly available for playing, but, as usual, we were too busy talking and laughing to pull out the games! We saved that for the guests who stayed the night. Coffee and being thrashed at Doctor Who Monopoly…always a great way to begin the day! I have to give serious kudos to the winner. There were no hotels left to purchase…he bought them all. An unlucky trip around the board was going to cost you at least $4,000 Monopoly money. I would earn just enough income to pay rent after I mortgaged…everything. Then I’d pay off the mortgage and earn enough income to pay rent the next time I landed on….anything! Decorations turned out great! There was banner hanging from the mantle that said “Hello Sweetie”. 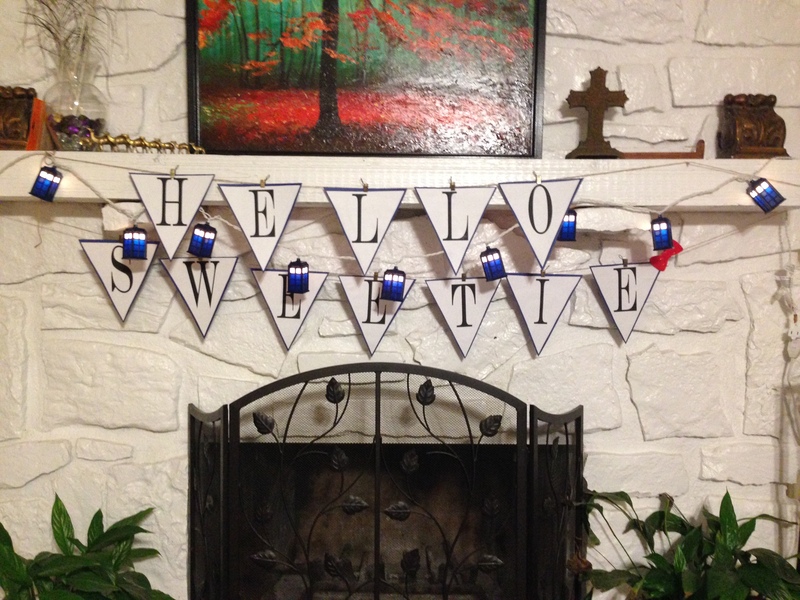 I just used TARDIS blue card stock to give the printed letters some substance. 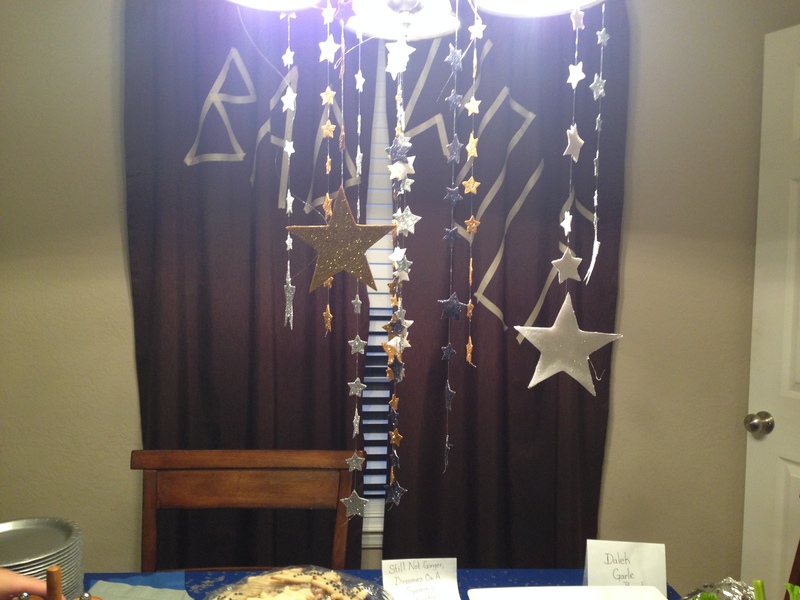 A star mobile that hung from the light fixture above the dining table. 3 Chic Geeks gave me the idea, but I had to go and add glitter and stars of different sizes. It was lots of fun, but I will never get all the glitter out of my…entire house. The “Bad Wolf” graffiti was a big hit too. My wonderfully evil self really wanted to print a poster sized weeping angel to hang behind the door in the bathroom…because it is scary! However, I refrained…or I ran out of time…whichever…maybe next time. All the tableware was blue and silver and the table and book case were scattered with silver star confetti. 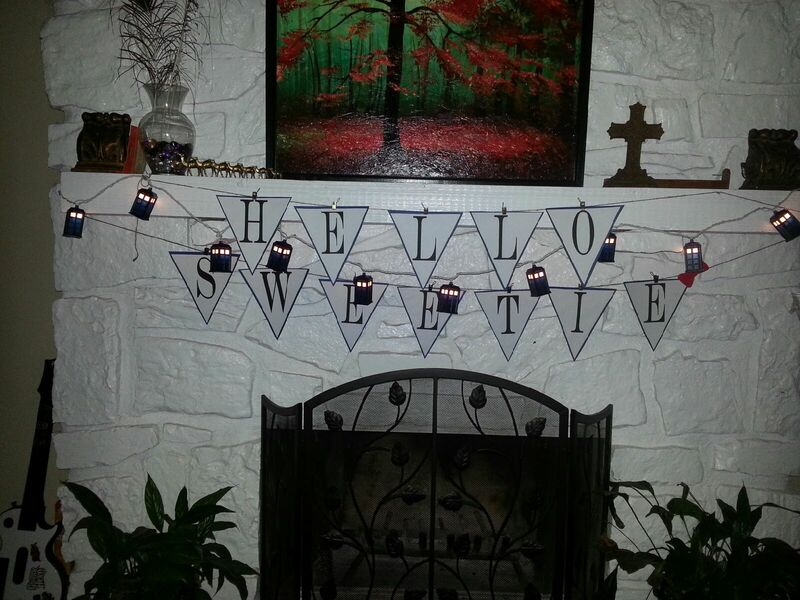 I also couldn’t resist some star garland on a wire to weave about…anyplace flat. A couple of people asked me what I was going to do with all the decorations I made. Well, I’m keeping them, of course! 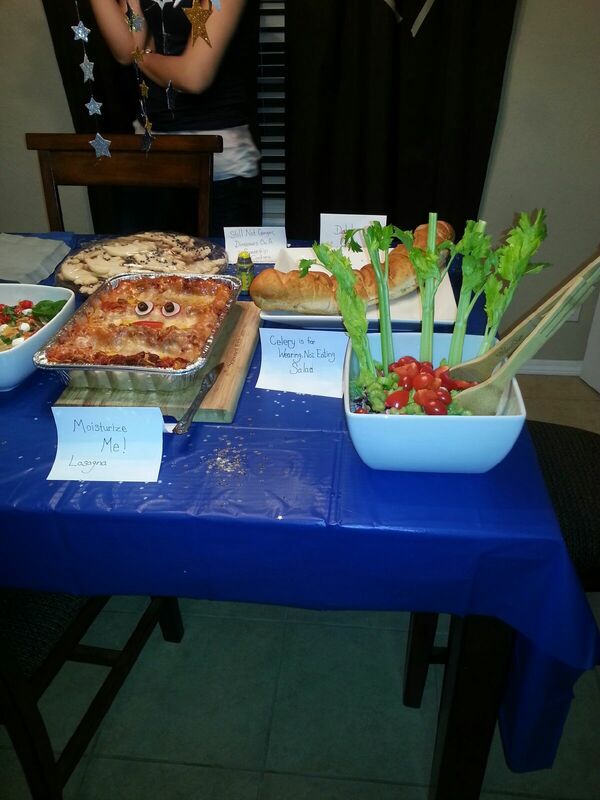 I received a Whovian Cookbook for my birthday….oh, I think I see more Doctor Who parties in my future. 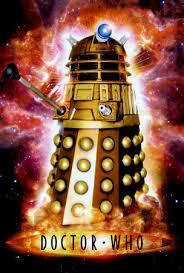 I watched The Day of the Doctor during the simulcast that afternoon. 1) I know me. There was no way that I would be able to sit still and not be checking on my guests constantly while the show was one. However, I wasn’t missing a second of it either! 2) I couldn’t wait that long! Since I cannot travel in time, my DVR worked just fine for this lovely occasion. 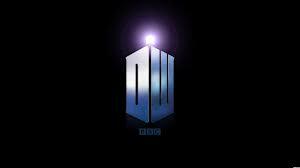 It also helped that BBC America rebroadcast it in the evening. My guests ended up not needing much attention during the show, they were a bit occupied with what happened on-screen. This did give me a chance to watch for all the little tidbits the creators like to throw in there for our viewing pleasure. The hardest part was keeping my mouth shut. (Always a challenge!) No spoilers! All in all it was a pretty laid back kind of evening (with decorations). Once again, I have to give huge kudos to my friends who are “Fantastic” all on their own. There was virtually no clean up for me, they jumped in with a “Geronimo” and had most of the work done for me. All I had left to do was slip into my TARDIS pajamas and head off to dream of the next theme party I can concoct….Sherlock anyone?